Music is more fun and compelling with other people but amateur musicians often struggle to find a local community of musicians they can connect with. For many amateur musicians, finding other people to play music with can be surprisingly difficult. You need to have compatible schedules, personalities and music taste but all of that take time to develop. 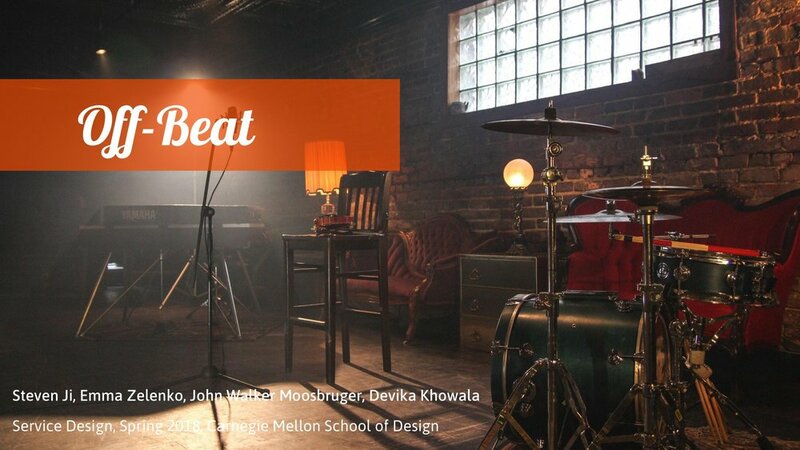 Offbeat helps build local music communities of amateur musicians through its hosted events and digital platform. 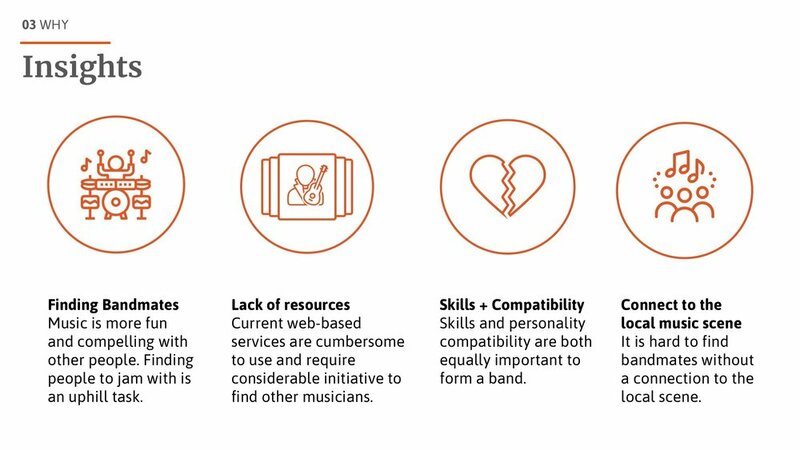 1.Amateur musicians: Offbeat wouldn’t be much without its users and which is why Musicians are our key stakeholder. 2.The Event Host is the face of Offbeat. Apart from facilitating events, the host helps in building local music communities by connecting people. 3.Venue Partners: Offbeat partners with a variety of local venues to meet the need for its diverse events. Venues vary from neighborhood coffeeshops to maker spaces to unique experiences at breweries. 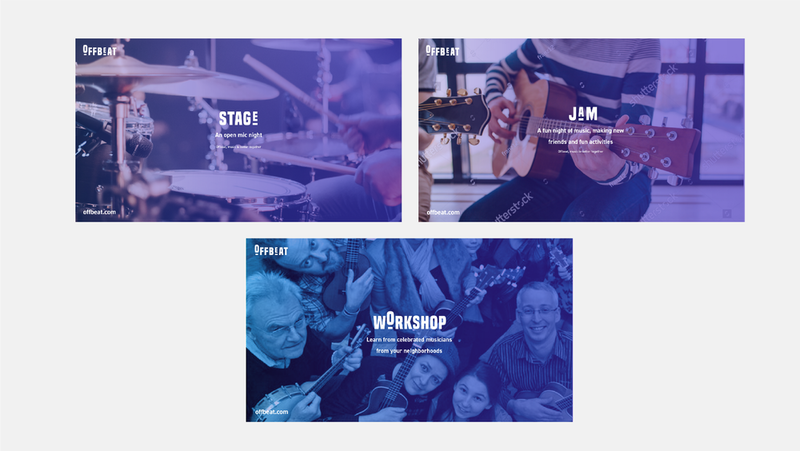 For a monthly subscription, Offbeat, through its hosted events and digital platform, provides a space for amateurs musicians to come together to play, learn new skills, listen to peers and pick up a few tips and tricks. 1.On the back end, Offbeat partners with small and big venues who provide us space in exchange for business and promotion. 2.Offbeat also collaborates with local music experts to share their experiences with its community of amateur musicians. 3.Apart from maintaining its own inventory, offbeat also partners with local equipment vendors as per need. 1.We liked that they were music creators, so we’re helping them distribute content. 2.By focusing on local communities it let us engage with real human connections that often get lost in larger communities. 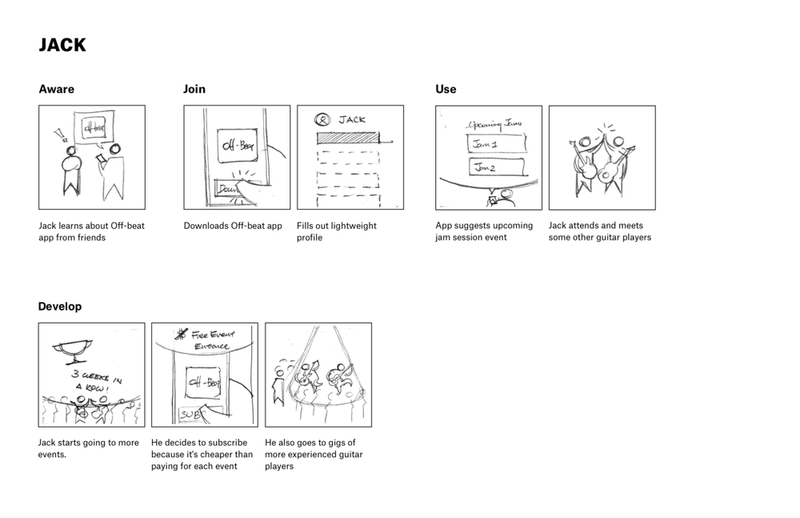 3.Rather than focusing only on professionals, we wanted to open it up to anyone with a passion for playing music. …and what do they need? Who are the existing players in this space? Multiple revenue models made it hard for us to figure out needed subscription price and would be overly complicated for users. 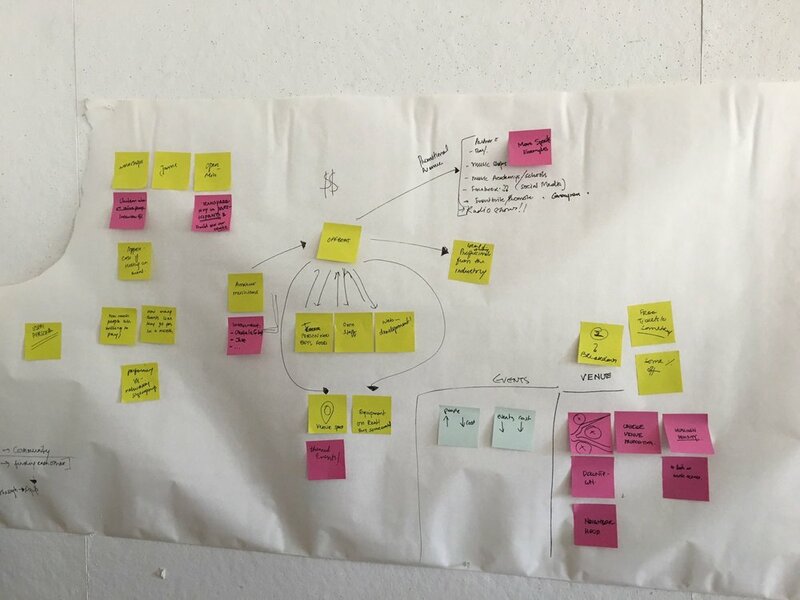 Free month is a better way for users to test service.